In a small mixing bowl, mix together 3 tsp Grace Jerk Sauce, lime juice, coconut sugar, coconut oil, green onions or scallions. Slice eggplant vertically (lengthwise) into 1/2-inch-thick "steaks" and generously brush both sides with the marinade. 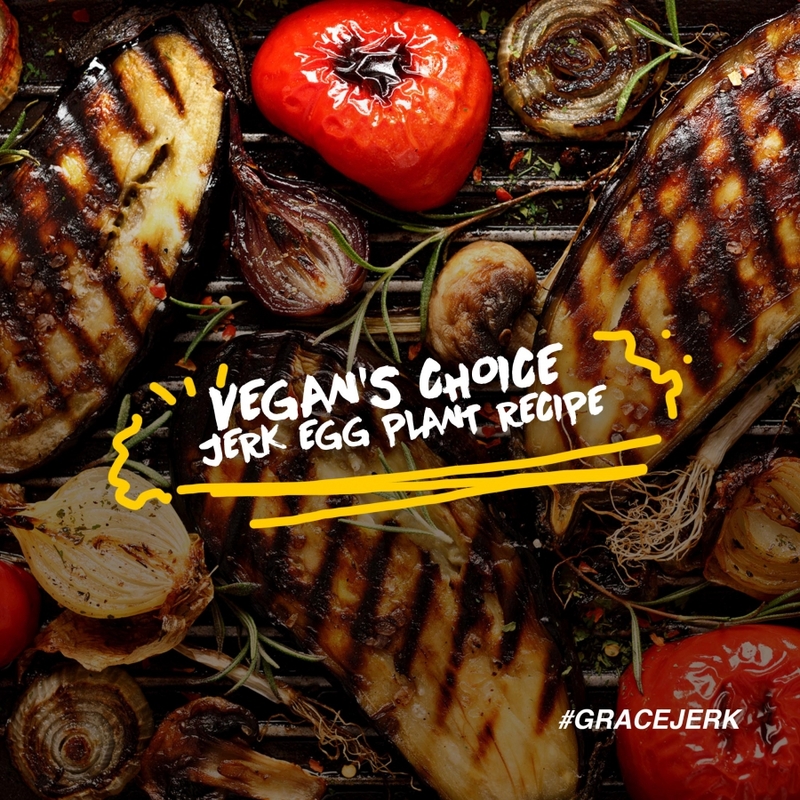 Heat up a grill or grill pan to medium-high heat and lightly oil / grease to discourage the eggplant from sticking. Once hot, add eggplant and grill on both sides until golden brown and grill marks are present - about 3-5 minutes each side. Serve grilled eggplant as is or over rice, over cauliflower rice, or with sauce (optional), and garnish with fresh herbs, such as parsley or green onion. Best when fresh! Leftovers won't be as good as fresh, but they will keep in the refrigerator up to 2-3 days.